The contrast of a modern, lively and trendy capital with that of the villages of Emberá that inhabit semi-nomadic people, is an interesting mix that attracts tourist from around the world to this Central American city. The Latin American country lies on the narrowest land bridge bordered by Costa Rica in the west and Columbia in the east. With a size of 77.082 sq km, Panama looks somewhat larger than Assam, having a similar shape. 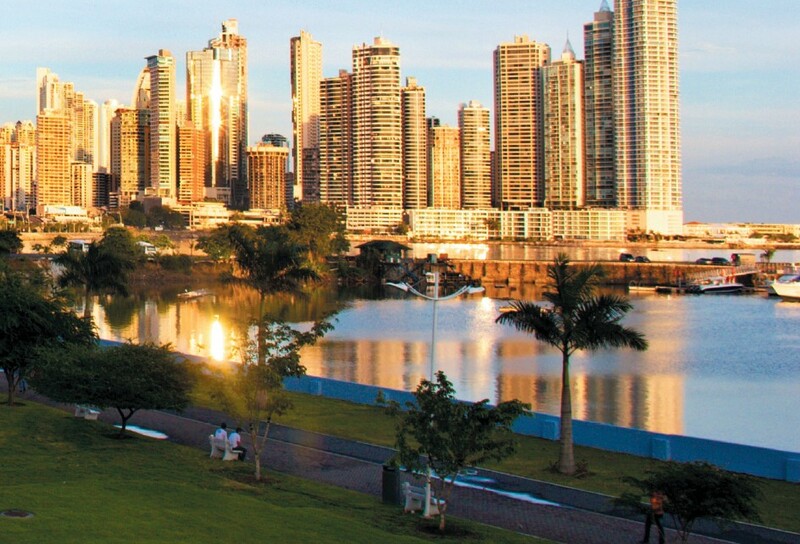 Panama leads the Western Hemisphere as the fastest growing economy with a GDP growth rate of 6 pc in 2014 and 2015, generated by a population of only 4 million inhabitants and powered by services with a share of 86 pc of GDP, notably finance, transport, retail and tourism. 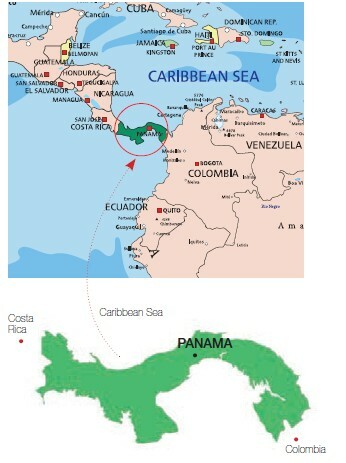 Panama is well-known as a hub for off-shore financial activities. 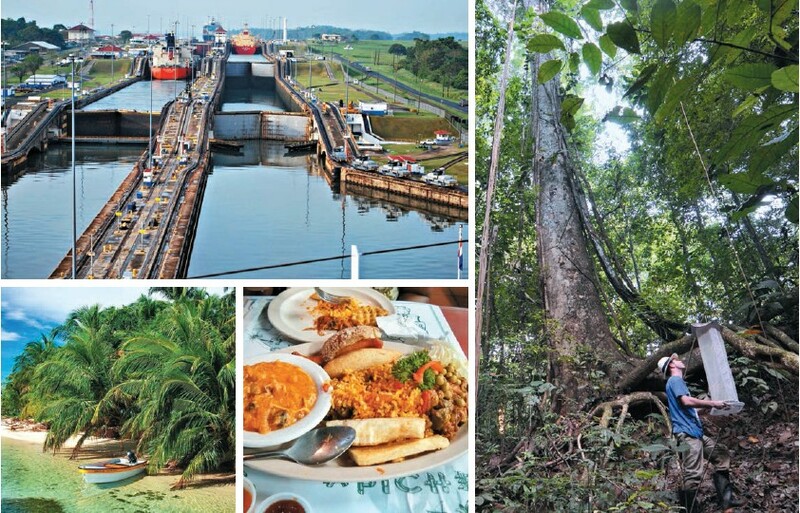 Transport is fuelled by the revenues from the Panama Canal passages. The Colón Free Trade Zone, one of the largest in the Americas and second largest in the world, produces a wide variety of merchandise exports and re-exports to Latin America and the Caribbean. The official and dominant language is Spanish. In 1821 Panama gained independence from Spain and joined ‘Gran Columbia’ in 1831, a short-lived federation that included the territories of present day Colombia, Bolivia, Ecuador, Peru and Venezuela. In 1903 Panama regained independence as a republic forced by a revolutionary Junta and was formally recognised by the United States of America. This is also the reason why Panama is dollarised since 1903 and the county’s official currency, the balboa, is fixed at a rate of 1:1 with the US-Dollar. The contrasts within the city could hardly be stronger – Panama City, also called The ‘Miami of the South’- welcomes the visitors as a modern, lively and trendy capital with gorgeous scenery of skyscrapers around the hectic business quarter of San Felipe and a frolic nightlife in the numerous restaurants and bars; whereas only 20 km away the indigenous Emberá paddles unperturbed in dugout canoe (a boat made from hollowed tree trunks) through the tropical forests. The difference between new and old and a real flair of a Latin American city make the capital’s historic district Casco Viejo (Old Quarter), a cultural gem. Since 1997 Casco Viejo together with Panamá Viejo is a UNESCO World Heritage Site. The heart is the colonial cobblestone ‘Plaza de la Independencia’ (Independence Square), where Panama’s independence was signed on November 3, 1903. The golden altar of the church ‘Iglesia de San José’ was painted black by a priest in 1671, when the British Admiral Henry Morgan looted the city. Other interesting buildings are the House of the Municipality, the Grand Hotel (today the Canal Museum), the renovated National Theatre with splendid wall paintings and chandeliers, the Ministry of Government & Justice and the Municipal Palace. The Plaza de Francia is dedicated to more than 22,000 workers who lost their lives during the canal construction. Most of them came from France, Guadeloupe and Martinique. Another tourist attraction is the former capital Panamá Viejo in the suburbs of today’s modern capital. Founded in 1519 by the Spanish it is the oldest European settlement on the Pacific Coast. The city prospered as a busy colonial outpost from where the expeditions to the south started. When Francisco Pizarro conquered the Incan Empire, the whole treasure of gold and silver arrived here to be shipped to Spain – thus a lucrative place for the notorious Caribbean pirates. With the California Gold Rush in 1840 the traffic increased, but in the absence of proper infrastructure the route to USA’s West coast became extremely exhausting and time-consuming. The comfortable solution via ship and rail came in 1846, when Columbia allowed the USA to build a 76.6 km long railway line across the Isthmus of Panama from Colón to Balboa (near Panama City), connecting the Atlantic and Pacific Oceans. The USD 8 billion (INR 534 billion) project was financed by private US companies. Enormous obstacles were accomplished by the sweat and often deaths of thousands of workers, who had to cut the dense jungle over mountains and swamps. The very fact that 300 bridges had to be built along the route was a masterstroke. Launched in 1855, the expensive ticket cost of USD 25 (INR 1,669) per passenger turned the railroad in one of the most profitable investments in the world. Today a tourist attraction, the passengers may visualise those hard days while travailing comfortably in fully restored and richly adorned vintage deluxe domes railcars. The route is along the busy Panama Canal and the artificial Gatún Lake with fantastic landscapes. With only 12 km distance from Panama City, the Miraflores Visitor Centre is a unique and perfect place to learn the operation mode. One can watch from the terrace how the huge lock gates open and close in slow motion for the cargo ships, naval vessels and cruise liners. The 77 km long ship canal from Panama City to Colón connects the Pacific Ocean with the Atlantic Ocean and is considered as one of the largest and most difficult engineering projects ever undertaken. The project was inspired by Ferdinand de Lesseps, a French diplomat, after his successfully developed the Suez Canal in 1869. After many years of engineering problems and high mortality due to accidents, cholera, yellow fever and malaria, the Panama Canal was officially opened in 1914 as a considerable achievement for the international maritime trade, enabling ships to avoid the lengthy, perilous Cape Horn route around the southernmost tip of South America. About 12,000 vessels passed the Canal in 2014, covering 5 pc of the worldwide maritime trade. The strict vessel requirements for passing the Panama Canal are called Panamax (maximum length 294.3m, maximum width 32.3m and maximum draft 12.04m) that came into effect since 1914 and are supervised by the Panama Canal Authority (ACP) as administrator. The detailed ship design, propulsion and prevalence require a precise manoeuvre of the vessel in the 305m length, 33.5m width and 12.2m deep locks. Starting with the Miraflores and Pedro Miquell locks near Panama City, the ships are lifted up 16m and 10m to the next levels, reaching the huge artificial Gatún Lake and finally the Gatún locks, leading in the Atlantic Ocean near the Colón Free Trade Zone. A third, wider lane of locks (427m length, 55m width and 18.3m depth) is currently under construction, due to open in March 2016 for a new vessel generation, called New Panamax with a capacity of 14,000 standard containers up from the previous 4,400, creating a new canal of traffic. The mega-project worth USD 6 billion (INR 400 billion) is presently one of the world’s largest construction sites with approximately 9,000 workers. Canal cruises are offered every Saturday up to Lago Miraflores or Christobal on the Caribbean Sea. Outside of the bustling Panama City, the country offers huge areas of unspoiled jungle with nearly 2,000 km long palm-fringed coastlines. Vast areas are occupied by nature-sanctuaries and natural parks. The jungles are home to an abundance of tropical plants, animals and birds, some of them to be found nowhere else. Other Fauna includes the tapir, jaguar, armadillo, anteater, sloth, iguana, tamarin, poison dart frog and howler monkey. From 940 species (toucan, parrot) of birds, 125 are only found in Panama. The national bird of Panama is the Harpy Eagle (Harpia harpyja). On a day’s excursion by flight to Bastimentos Island Marine Park one can visit the breeding sites of ocean and leatherback turtles. The archipelago of Bocas del Toro comprises 240 islands, most of them covered by corals. About 325 km from the Panama city is the Darién National Park, which has the largest coherent rain forest of Central America and is UNESCO world natural heritage with a biosphere reserve. Close to the border of Costa Rica abrupt ridges with cliffy valleys prevail in the La Amistad National Park. On heights above 1,000m, thick fog covers the Rain Mountains. Here fern and moss carpets crawl up to the treetops of jungle giants, which are more than 50m high. Curious monkeys and the chirp of countless number of birds entertain the heart of the traveller. The Isla de Coiba National Park with sand beaches and mangroves is a paradise for diving activities where one can see ocean turtles, dolphins, sharks, manta skates. However, a permit of the environmental protection agency ANAM is necessary. 73 pc of Panama’s population is a mélange of Europeans, Africans and indigenous tribes, called Mestizos. 12 pc are Whites, followed by Arabs from Lebanon, Palestine and Syria as well as Asians from China, India and Pakistan. The 8 pc Native Americans are divided in seven ethnic groups, dominated by the Ngäbe, Kuna (Guna) and Emberá. Their habitat is the dense rainforest. Panamanians love Latin dances like salsa, merengue or bachata. Local or national celebrations with song and dance are common, especially during the carnival, which is a yearly highlight. The king of folkloric dances is El Tamborito (small drum), introduced by the African slaves in the 17th century, today it’s a mix of Hispanic and African traditional dances and is being performed in local costumes by beating three small drums. A similar dance is Cumbia with a major African influence, played mostly with drums. One might find a fleeting similarity with some of the Indian rhythms. The Punto panameño has Hispanic origins and is considered to be the most elegant and beautiful dance performed by a couple. The instruments used are a rebec or a violin, a mejorana (similar to a guitar), a Spanish guitar, an accordion and three different kinds of drums, used for rhythm and the melody. After all the breathtakingly excursions, it is high time to tingle the palate. The culinary delights of the Panamanian kitchen reveal, as a result of the population mix, a real potpourri of African, Native American, Spanish, Chinese and Caribbean influence. Arroz (rice) is country’s staple food. The use of coconut milk reminds you of the kitchen of Kerala. The superhot ají chombo (capsicum Chinese) is a red elongated habanero type of chili used in most spicy dishes. The national dish is ‘sancocho de gallina’, a vegetable stew served with chicken. Another popular dish is ropa vieja, which means ‘old cloth’ that consists ofstewed beef served with vegetables such as black beans, tomatoes potatoes, fried plantains and cabbage. The breakfasts may start rich in calories with liver or beef bistec (steak), huevos (eggs), and salchichas (sausage in tomato and onion gravy) with patacones (deep-fried plantains). For vegetarians, there are chapati-like tortillas, made of thick deep-fried maize dough or hojaldres, a type of fried bread, often served with cheese. Very popular for a simple lunch are carimañolas, which are yuca (cassava) root samosas, stuffed with minced meat. Favoured as snacks are deep-fried empanadas, very similar tosamosas, filled with minced meat or cheese. There is also a wide variety of seafood to choose from such as corvina (bass), prawns, red king crab, squid and bass. A typical drink, found almost exclusively in Panama, is chicheme – made from milk, sugar, cinnamon and vanilla. The coffee in Panama is often very strong and served with cream or condensed milk. Cerveza (beer) is popular to quench the thirst. For a sundowner enjoy the alcoholic national drink seco herrerano, distilled from sugar cane with an alcohol volume of 35 pc. Due to the almost neutral flavour, the refreshing seco herrerano can be mixed with all tropical fruits, liquors, Coca-Cola and even coconut milk. Locally known as ‘toquilla palm’ or ‘Jipijapa palm’ the light-coloured, lightweight and breathable hat is made from the plaited leaves of the Carludovica palmata plant, a palm-like plant. The specifically brimmed straw hat has its origin along the Ecuadorian coast, produced there since 1630. In the 19th and 20th century the import of goods having their origin in South America, from non-US-companies was not allowed to USA. So the hats were shipped first to the central customs office in Panama, where they got their customs stamp before sailing for their destinations around the world. The popularity of the hat increased with eminent personalities such as Ernest Hemingway and Winston Churchill donned these hats. The art of weaving the hat with traditional knowledge and skills passed down from generation to generation. In countries with high humidity a good quality Panama hat does not get spoiled even when transported coiled up in a box. Not surprisingly, these hats were also added to the UNESCO Intangible Cultural Heritage List in 2012. The Tocumen International Airport which is located 35km from Panama City, services regular international flights to all major airports. Air India from India and Air France from Europe operate flights to the city. Accommodation ranges from international standard to inexpensive country inns, very simple hotels and new resort-style hotels. There are plenty of bed and breakfast places in Panama, especially in mountain towns and on the more well-populated islands such as in the Bocas del Toro province. 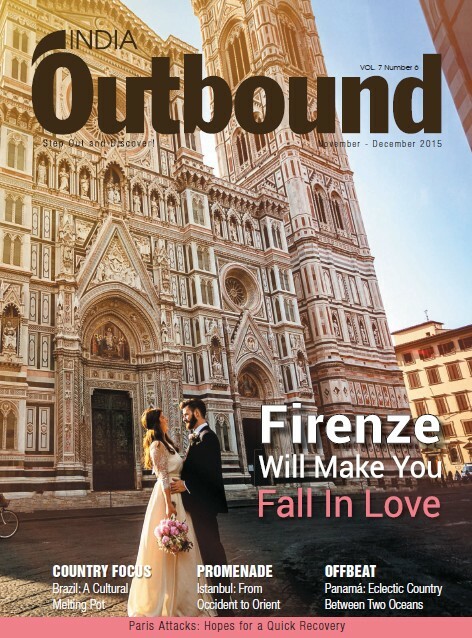 Homestay and youth hostels are the additional accommodation options.